Today's brands face pressure from competitors and customers to embrace mobile marketing. But where do your start, how do you get stakeholders onside, select the right mobile channels, find the best partner agencies, avoid costly errors and benefit from the hard-won knowledge of the leading brands which make with mobile work for them. 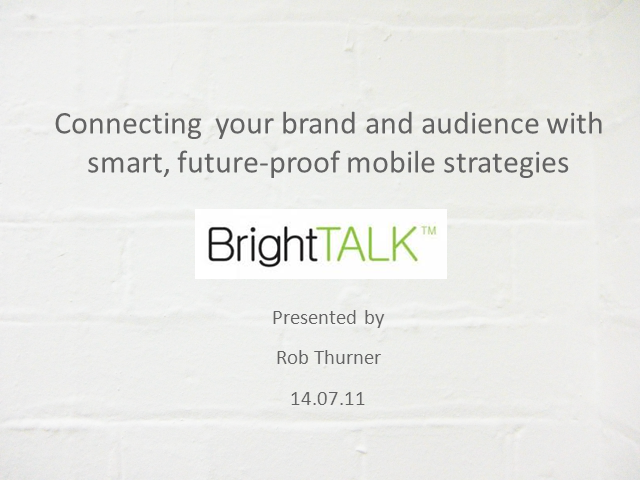 Whether you are yet to get started with mobile for customer acquisition, CRM and commerce, or you are engaging regularly with your customers via their mobiles, this session will help you develop, execute and monitor effective mobile campaigns using the key mobile channels, and explain where you should focus resource and budgets.